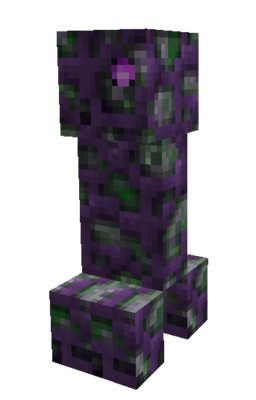 Tainted Creeper is a mob added by the Thaumcraft 4 mod. It spawns in Tainted Lands. It behaves similar to Creeper. Its explosion does not damage blocks, but it spawns 3 Fibrous Taint and inflicts all entities in explosion radius with Taint Poison for 5 seconds. It also simulates the effect of Bottled Taint to be thrown under its feet when exploding. This page was last modified on 10 June 2017, at 19:11.